Buy an entire residential property directly and hire an agent to manage rental income. Use a crowdfunding investment platform to purchase a share of a property investment. Investing directly into residential property is the traditional route to earn regular semi-passive income from property. However, using new technology, property crowdfunding platforms now provide significant advantages over traditional semi-passive property investments. For instance, using a property crowdfunding platform, such as Brickowner you can access the tools needed to gain a truly passive regular income from property investments. Investments made through a property crowdfunding platform provide a truly passive income compared to traditional property investments. A traditional property investment typically involves an individual buying property themselves, meaning there is lots of research needed to ensure an investor can safeguard both strong yield and capital growth. Moreover, traditional investments typically require capital to be raised in the form of debt from a bank – this is a time-consuming process that cannot be considered truly passive. Furthermore, an individual property investor has to find the best property manager and the most suitable property to extract a reliable yield from an investment. Researching and finding the right property (see our article on diverse market trends) and property managers can be a challenging task and cannot be considered fully passive. Using recent technology developments, investments in property are now truly passive. A reliable monthly income is now possible for investments made through property crowdfunding platforms. Using a platform provides a pool of the best property managers, who in turn find the best investment properties within their local market. This simple solution reduces the amount of work for the investor and allows for online investment. With property crowdfunding platforms, the investment process is simplified and ongoing administration and management concerns are outsourced – allowing investors to reap a passive return on their funds with ease and convenience. As discussed previously, investments made via property crowdfunding platforms are more diversified than traditional residential investments. Typical residential property investments are made by individuals wishing to gain exposure to the UK property market through a single or a limited number of properties. However, the UK property varies wildly and sees different property types, different locations and wider economic factors dictate returns on property investments. To capitalise on property market variance, while mitigating risk, investments should be broken up into smaller divisions to avoid over-exposure to a single property. Smaller investments made via property crowdfunding allow for exposure to the property market, but due to diversification a reduced volatility. Previously, splitting ownership across many large-scale property investments was limited to those with large amounts of funds to invest, now with Brickowner, shares in a variety of property investments can easily be found online by the everyday investor. Property investments made through crowdfunding platforms can provide higher returns than traditional property investments in residential property. This is due to the aggregation of investor funds meaning that large scale and higher value property returns are accessible. Large scale property investments could include investing in a share of large residential property developments or in more exotic commercial properties. In the past, many investors were excluded from large scale investments. Now, using a platform, a much wider audience is able to invest in these larger scale higher return property investments – rather than being limited to those with a larger financial backing. Finally, investments made via crowdfunding, just like traditional residential property investments, can be geared – this can multiply returns due to market increases, although it is important to not this will also increase your risk. This article has outlined how traditional investments in property tend to be semi-passive in their nature, while investments in property via crowdfunding platforms are truly passive. 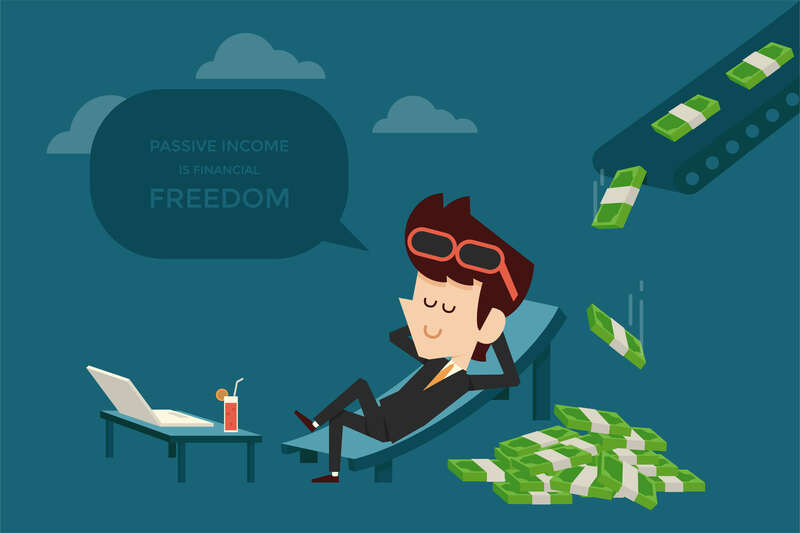 Differentiating between semi-passive and passive investments are key because passive investments require significantly less management and work. Additionally, passive property investments, enabled by technology, provide investors with greater diversification within their portfolio and the opportunity to receive higher monthly returns. For an overview of the pros and cons of traditional property investments versus newer crowdfunded investments, see our article here.